* Is War in Syria in America's Interest? The calls for U.S. military action against Syrian government forces have become more vociferous in recent weeks, as outrage over the current Russian and Syrian military offensive in rebel-held eastern Aleppo mounts. The calls are not new: critics have been urging President Barack Obama to become more involved in the Syrian civil war since it began in 2011, and have since become louder amid glaring human rights abuses. The last time the Obama administration “considered” striking President Bashar al-Assad’s forces was in August 2013, following global outrage at a chemical attack on rebel-held neighborhoods in eastern Damascus. Disturbing images of the past week of hospitals being reduced to rubble due to Russian and Syrian bombardment have again resulted in elevated calls for intervention. Indeed, Western leaders, including Obama, have mirrored the moral outrage by slamming the Russian-led assault as “barbarous” and possible “war crimes.” But as in August 2013, morality was not a motivation for direct, foreign intervention. The Obama administration refrained from bombing Assad’s forces after the chemical attack in 2013, and will likely remain on the sidelines again. The sad reality of international relations is that interests trump humanitarianism. The Security Council has deliberated, released statements and resolutions, and watched on as numerous cases of crimes against humanity came before it. Assad is not the first despot to inflict egregious crimes against his own people, and seemingly get away with it. When it serves the interest of a great power, morality is a footnote. And Russia is not the only party to the game—it is the standard conduct of all great powers. As India prepares for the BRICS-BIMSTEC outreach in Goa this weekend, it is clear that the country most on its mind is one that will not be attending: Pakistan. Ten countries will be sending their leaders to Goa – Brazil, Russia, China and South Africa, as well as the members of the Bay of Bengal Initiative for Multi-Sectoral Technical and Economic Cooperation, which includes a large number of the SAARC countries. By Thursday, it was clear that India was using the international meet to shore up its defences, gather its allies close, push forward with its stated goal of diplomatically isolating Pakistan. For instance, National Security Advisor Ajit Doval urged his BRICS counterparts to step up counter-terror cooperation and set up a legal regime that was not hobbled by niceties over the definition of terror. This could take the countries closer to a Comprehensive Convention on International Terrorism, which India has been pushing for but which has been stuck for years because everyone differed on the meaning of terror. Also, a few days ago India looked stormy about joint military exercises between Pakistan and Russia, but that has not stopped it from signing big-ticket defence deals with the latter. Then Bangladesh went ahead and explicitly announced its grievances with Pakistan. These included Pakistan's export of terror and its criticism of the trials and execution of Jama'at-e-Islami leaders in Bangladesh. But India's single-minded pursuit of Pakistan has two problems with it. First, it is bound to meet a roadblock in the form of China, an influential member of the BRICS and a close ally of Pakistan. While China has shownsigns of relenting on India's entry into the Nuclear Suppliers Group, it stands firm on blocking India's bid to have Jaish-e-Mohammad chief Masood Azhar designated as a terrorist by the United Nations. Second, by obsessing over Pakistan, India could lose sight of the other possibilities the summit offers – the chance to build greater cooperation on developmental and environmental issues that could pump new life into the economy. India, the world’s third largest emitter of greenhouse gases, formally joined the Paris agreement on tackling climate change on October 2. In a deal that US president Barack Obama said was carrying on the legacy of Mahatma Gandhi and his belief “in a world worthy of our children,” Prime Minister Narenda Modi’s government promised to do its bit to tackle the biggest environmental issue of our age. In some respects, the evidence certainly points to India taking its responsibilities seriously. Green investment is growing rapidly: attracted by the massive potential demand and impressed by the “fantastic” quality of wind and solar radiation, French company EDF has projects worth $2 billion in the pipeline in India. Similarly, Swiss power-electronics company ABB has installed a 600KW rooftop solar power array at its production facility in Vadodara. These firms are not alone in seeing India as a prime growth market for renewable energy. India’s Minister of New & Renewable Energy, Piyush Goyal, recently told the parliament that India had attracted a cool $14 billion in renewable energy investments over the last three years. The country is not just supinely accepting renewable investments but is also doing its bit to stimulate the growth of the renewables industry. During the same period, the government provided around $1 billion in capital costs support for new renewable projects, as well as incentives for sustainable power generation. On a recent trip to India, Anant Agarwal, an entrepreneur who has founded several companies including Tilera Corporation which manufactures semiconductors, had an interesting experience. He was thanked by a person at the Bangalore airport for “saving” his life. Narrating this incident during a panel discussion at the Wharton India Economic Forum held earlier this year, Agarwal said that the man was talking about edX, a free online education provider where Agarwal is currently the chief executive. Founded in 2012 by Harvard and MIT, edX, offers courses from universities and institutions around the world. “EdX has about seven million students all over the world, and about 800,000 students in India alone,” said Agarwal. Unlike conventional universities, he explained, edX provides micro-credentials and programs that have skill-based outcomes, rather than coursework aimed at more theoretical specialties that rarely generate direct job opportunities. Students sign up online for edX courses of their choice, which they take at their own pace. After completing a program, if they want they can also receive a certificate from edX (for a small fee) verifying the student’s mastery of the coursework. This can be used to highlight the students’ skills on their resume or LinkedIn profile. KABUL, Afghanistan — Outgunned and surrounded by Taliban fighters in a chronic combat zone of southern Afghanistan, the police officers and soldiers thought they had negotiated passage to safety. They had walked into a trap. In what appears to be one of the worst massacres of Afghan forces in a protracted and forgotten war, at least 100 were killed when the Taliban fighters opened fire on them from all directions as they tried to flee through the agreed-upon retreat route, Afghan officials said Wednesday. Accounts of the massacre, which happened Tuesday near the southern city of Lashkar Gah in Helmand Province, punctuated a growing crisis in Afghanistan’s armed forces that goes to the heart of their sustainability: They are sustaining enormous casualties from a revitalized Taliban insurgency and are facing increased problems recruiting. Many vacancies go unfilled. The Taliban insurgents have opened simultaneous fronts across the country in recent months, overrunning districts and besieging major urban centers. The insurgents managed to easily capture parts of Kunduz for a second time on Oct. 3, and hold them until finally forced to retreat on Wednesday after a week of devastating urban battles that displaced tens of thousands of people. The Taliban is now threatening five of Afghanistan’s 34 provincial capitals in Afghanistan. The Taliban has not confined its operations to one area of the country, but is active in all. 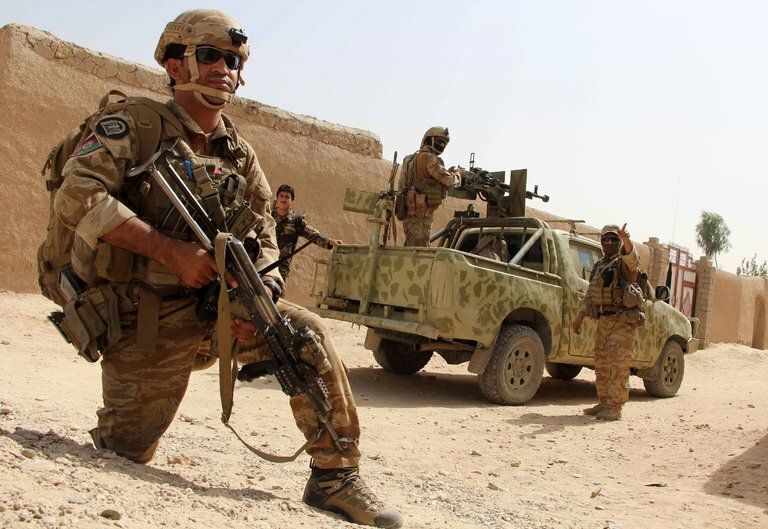 The Taliban threaten two capitals in the north (Kunduz City and Pul-i-Khumri), two in the south (Tarin Kot and Lashkar Gah), and one in the west (Farah City). In order to threaten these capitals, the Taliban has focused its operations in the rural districts of Afghanistan. These districts are vital to the Taliban’s insurgency. The areas are used to recruit and train fighters, raise funds, resupply, and launch attacks into the population centers. This strategy was explained by Mullah Aminullah Yousuf, the Taliban’s shadow governor for Uruzgan, in April 2016. Despite the success the Taliban has had employing this strategy, General John Nicholson, the commander of US forces in Afghanistan and the Resolute Support mission, has downplayed the Taliban’s control of rural areas. Kunduz: The Taliban entered the city of Kunduz on Oct. 3 and occupied large areas of the city for nine days before being pushed back by Afghan forces. Resolute Support, NATO’s command in Afghanistan, insisted Kunduz was under Afghan control one day after the Taliban entered the city despite reports to the contrary. The Taliban remain on the outskirts of Kunduz City; all seven districts in the province are at best contested. Baghlan: Pul-i-Khumri, the capital of Baghlan province which borders Kunduz, has been under Taliban pressure since May 2016. Pul-i-Khumri district and three more of Baghlan’s 13 districts are contested by the Taliban. The Taliban routinely shuts down the highway that links Kunduz City and Pul-i-Khumri. Lashkar Gah: The capital of Helmand province has been under Taliban threat for well over year. In October 2015, The Taliban advanced to within miles of Lashkar Gah, which has been besieged ever since. Earlier this week, the Taliban ambushed and killed scores of Afghan security personnel after 300 of them attempted to flee an area near the city that was surrounded. US advisers have been deployed to Lashkar Gah and other districts in Helmand to help Afghan forces battle the Taliban, but have struggled to contain the threat. Of Helmand’s 14 districts, six are known to be controlled by the Taliban and another seven, including the provincial capital, are heavily contested. With all its current sabre rattling against Russia, Washington is in fact risking WWIII by threatening to unilaterally impose a no-fly zone over Aleppo and go after the Syrian army. It is absolutely insane, but sadly true that the US is acting as savior for the extremist Jihadists holed up in east Aleppo, conveniently labeled as “rebels,” thus putting a brush of legitimacy on them. This hypocritical madness has been exposed by a number of US pundits, including Stephen Kinzer, a senior fellow at Watson Institute For International Affairs. Kinzer in a thoughtful column in Boston Globe has sharply criticized the US mainstream media’s misleading reports on Aleppo. Unfortunately, that is a sad truth and even seasoned international reporters such as Christiane Amanpour have given a lending hand to this hypocrisy by comparing Aleppo with Bosnia, thus overlooking the fundamental differences. But, the problem with Kinzer’s analysis is that he ignores the primary role of the US government giving misleading cues to the media, which then sheepishly echoes the misinformation, whereby the extremist al-Qaeda terrorists are cast in shining lights as “freedom fighters” and “rebels,” thus overlooking their atrocious record of atrocities, including hitting a primary school and killing a half dozen children most recently, and portraying Russia and Syria as the true villains. Japan will lease additional land next year to expand a military base in Djibouti, eastern Africa, as a counterweight to what it sees as growing Chinese influence in the region, three Japanese government sources said. China is seeking closer ties with African nations that could help it gain access to natural resources and provide new markets. Beijing said late last year it would pump $60 billion into development projects on the continent, cancel some debt and help boost agriculture. Earlier this year, Japan also pledged to increase its support to infrastructure, education and healthcare projects in Africa, committing an extra $30 billion in public and private support. "China is putting money into new infrastructure and raising its presence in Djibouti, and it is necessary for Japan gain more influence," said one of the sources, with knowledge of the plan. China in February began construction in Djibouti of its first overseas military facility, a coastal logistics base that will resupply naval vessels taking part in peacekeeping and humanitarian missions. A collision of government policies and market forces has slowed China’s plan to cut coal mine capacity as demands from the steel industry threaten to delay long-term goals. Steelmakers were ordered to eliminate 100 million to 150 million tons of capacity in the next five years. China accounts for about half of the world’s output and consumption in both industries. This commentary originally appeared in the opinion section of FoxNews.com. The next U.S. president is likely to be met with multiple international crises after assuming office, and Iran may be one of the most challenging of them. Despite the heated partisan rhetoric, the signing of the Joint Comprehensive Plan of Action (JCPOA) nuclear agreement between Iran and the P5+1 (United States, UK, France, Russia, China, and Germany) has been beneficial for the United States as Iran has shipped out most of its uranium stockpile, reduced the number of its centrifuges, and accepted intrusive international inspections, making it much more difficult for Tehran to develop nuclear weapons. But the JCPOA has not eliminated the fundamental differences between America and the Islamic Republic. The Iranian regime continues to support terrorism, back the regime of Syrian President Bashar al-Assad and violate the rights of its people at home. The election of Hassan Rouhani as president in 2013, while making JCPOA possible, has not led to any major changes in Iran. Supreme Leader Ayatollah Ali Khamenei and the Revolutionary Guards continue to wield unsurpassed power, often bypassing or outmaneuvering Iran's president and challenging U.S. interests in the region. Iran watchers have puzzled to assess whether the Joint Comprehensive Plan of Action (JCPOA) that Iran and the international community agreed to on July 14, 2015, would lead to a fundamental reorientation in Iran’s foreign policy. After taking power in 1979, the revolutionary regime adopted an international posture that combined the export of the Islamist revolution, a quest for regional hegemony, defiance of international norms and, most consequentially, the search for an atomic arsenal. Over the years, these policies turned Iran into a virtual pariah state—a process made unbearable when the United Nations imposed heavy sanctions to force the regime to roll back its nuclear project. Form the onset of his presidency, Hassan Rouhani and his supporters considered the JCPOA to be a first step in a grander plan to normalize Iran’s international relations and reintegrate it into the community of nations. But opposition to normalization has not disappeared, because important elites have objected to the conditions that would make Iran a member in good standing of the international community. Power struggle between the normalizers and their opponents (spoilers) would dictate the outcome of the normalization process. In fact, the political system in Iran, known as the negotiated political order, is especially susceptible to manipulation by putative spoilers. Unlike the standard hierarchical polity, Iran's negotiated political order is based on a series of complex arrangement among elites whose power base is anchored either in the state or parastatal domain. The president and the state bureaucracy compete with the parastatal Revolutionary Guards, the Basij—a volunteer paramilitary organization operating under the Revolutionary Guards with multifaceted roles—and large revolutionary foundations like Bonyad-e Mostazafan-e Enghelab-e Eslami, all outside the control of the state. Internal fragmentation of elites along personal or ideological lines adds to the confusion. In principle, the supreme leader is tasked with making binding decisions, but his power is far from absolute. Secretive, complex and intense maneuvering, intimidation, brinkmanship and even violence combine to generate a fluid and opaque decisionmaking process. This often results in contradictory messages emanating from Tehran. Is the Once Mighty ISIS Propaganda Machine Falling Apart? The bottom line conclusion of the report is that there are clear signs that the vaunted ISIS twitter-fed propaganda machine operating from Syria and Iraq is beginning to show signs of coming apart at the seams. Clearly there is a correlation between the battlefield setbacks that ISIS has experienced in recent months and the slow demise of their propaganda efforts. The CTC report can be accessed here. Following the July 15 coup attempt, 93,000 civil servants were suspended from their duties in many of Turkey’s public institutions; investigations are ongoing for 40,000 of them. The key question now is who will fill those vacancies, especially in the military and intelligence bureaucracies. One hard reality is that the ruling Justice and Development Party (AKP), despite its 14 years in power, has not developed a senior bureaucratic team that deals with security and intelligence affairs. Hence, a power struggle was inevitable at the senior echelons of the National Intelligence Service (MIT), the Gendarmerie Command, the Ministry of Defense and the Turkish Armed Forces (TSK), where two distinct schools of thought or cliques are competing to fill the vacancies. One of the schools of thought is that of the Homeland Party, also known as the Patriotic Party, which received only 120,000 votes (0.25%) out of 50 million votes cast in the Nov. 1 elections under the leadership of Dogu Perincek. It is popularly called the Perincek Group. This group — renowned for its staunchly secular, isolationist, ultranationalist, socialist, anti-US, anti-West, pro-Russian and Euroasianist characteristics — has no strong standing as a popular political party, but its influence in the upper echelons of the state’s security and intelligence services is steadily growing. High-level military police and intelligence personnel affiliated with this group were the Fethullah Gulen movement's most prominent targets for replacement between 2006 and 2014, when the Gulenists had the AKP’s cooperation in ending military tutelage. Those Gulenists who replaced Perincek Group personnel are themselves being eliminated. Now, amazingly, the Perincek Group has become the entity that President Recep Tayyip Erdogan is relying on most to purge the state of Gulenists and in the struggle against the Kurdistan Workers Party (PKK). Erdogan has endowed the group with ample powers. TEHRAN, Iran (AP) — Iran broke up an Islamic State plan to bomb commemorations marking the Shiite religious mourning period of Ashoura, state media reported, the latest alleged militant plot to target the country. Iran’s official IRNA news agency quoted Intelligence Minister Mahmoud Alavi as saying several foreign nationals were detained with some 100 kilograms (220 pounds) of explosives. State television also reported the arrests. Alavi said late Wednesday the suspects planned to attack Ashoura events in Iran’s southern Fars province. Ashoura marks the death of Hussein, the grandson of the Prophet Muhammad, at the Battle of Karbala in present-day Iraq in the 7th century. Alavi referred to the suspects as “takfiri terrorists,” a term used by Iranian officials to describe militant Sunni Muslim fundamentalists like the Islamic State group. “Intelligence Ministry agents, with the cooperation of other security forces, succeeded to defuse one of the anti-security plots of the ‘takfiri’ terrorist groups and prevent an inhuman crime in the ceremonies,” he said. There was no other information immediately released, though the arrest of foreigners on such charges is rare. Iran has helped Shiite militias fighting against the Islamic State group in Iraq, while also supporting embattled Syrian President Bashar Assad. Alavi blamed Iran’s foreign “enemies” for helping the Ashoura bombing suspects, without elaborating. The Islamic State (IS) or Daesh marked the start of the Islamic New Year (ie Muharram 1438H), which coincides with early October 2016, in the most sacrilegious manner by having its Al-Hayat Media Centre release the second edition of the magazine Rumiyah (ie Rome) in several languages including in English and Bahasa Indonesia. The magazine dedicates a chapter “Just Terror Tactics” which espouses savagery by encouraging potential terrorists to overcome their squeamishness of “plunging a sharp object into another person’s flesh”, promotes knives as a form of discreet and highly lethal weapon that is widely available in every land, and offers advice on launching an effective campaign of lone-wolf knife attacks on the infidels. Another chapter “Brutality and Severity towards the Kuffar” essentially buttresses the early chapter by distorting the history (i.e. Seerah) of the Prophet and his companions to justify knife violence against non-Muslims and Muslims who do not subscribe to their ideology. This marks a calculated strategy by Daesh to use lone wolves to main its currency in the global jihadist arena, and to engulf and distract law enforcement and security agencies as the returning foreign fighters plot more damaging stratagems. Shortly after the magazine’s release, two Belgium police officers in the Brussels district of Schaerbeek were stabbed in a suspected case of terror attack by an assailant identified as “Hicham D” who reportedly has links to foreign fighters who had travelled to Syria. While no terrorist group has claimed responsibility for the Schaerbeek attack, social media postings have been portraying an implicit attribution of the latest Rumiyah magazine to the attack. American policy has failed in Syria, but a global rethink is in order. Ever since Russia reneged on an ill-conceived ceasefire plan for Syria in September and participated in a barbarous military campaign in Aleppo, the crescendo of American voices calling for some action in Syria has risen a notch, apparently reaching the White House this week. Throughout the Syria crisis, the U.S. government bureaucracy and key power centers in the foreign policy elite have espoused Obama’s version of restraint and resignation, toeing a position along the lines of “Syria is a mess, but there’s little we can do.” Lately, though, an escalatory mindset has taken hold, with analysts and politicians floating proposals to defend Syrian civilians and confront an expansionist Russia. Does this kind of talk represent a sea change in decision-making circles? After years of decrying missteps in the ill-begotten wars in Afghanistan and Iraq and debating America’s shrinking footprint, is there now a convergence to once again embrace interventionism among politicians, public opinion and the foreign policy elite that some in the White House derided as “the blob”? I think there is, and those of us who have espoused a more vigorous intervention in Syria and a more activist response to the Arab uprisings need now to take extra care in the policies we propose. As the pendulum swings back toward a bolder, more assertive American foreign policy, we must eschew simplistic triumphalism and an unfounded assumption that America can determine world events. Otherwise we risk repeating the mistakes of America’s last, disastrous wave of moralism and interventionism after 9/11. As the 1973 Yom Kippur war between Israel and neighboring Arab states intensified, I was in an underground missile launch center in Montana with a crewmate when we received an emergency message to prepare for nuclear war with the Soviet Union. Only at the president’s behest would we ever turn keys to fire up to 50 nuclear-armed missiles that could extinguish millions of lives in less than an hour. Once we closed our eight-ton blast door to begin alert duty, we took orders from no one else. As 20-somethings at the bottom of the nuclear chain of command, launch keys and codes in our anxious hands, we could only imagine how close we were to Armageddon. But we trusted the president to defuse the crisis and avert a nuclear war, and to call upon us to fire only if necessary for the nation’s survival. The whole point would be to never have to fire. Since only he could unleash our weapons of mass destruction — which we could fire in one minute after receiving the order — we felt a trustful, almost intimate connection to the very top of the chain. We assume that presidents will grasp the power of the nuclear arsenal at their disposal and show the utmost restraint in using it. Dwight D. Eisenhower recoiled at the concept of nuclear overkill, where far more people are killed than necessary to defeat an enemy. After a nuclear war briefing, John F. Kennedy opined in dismay, “And we call ourselves the human race.” Richard M. Nixon (president during the 1973 Arab-Israeli war), in the words of his chief of staff, worried about the way war plans “lightly tossed about millions of deaths.” Ronald Reagan, for all his thunder about the Soviet Union being “an evil empire” and joking that “we begin bombing in five minutes,” was privately averse to nuclear weapons. He wished to eliminate them, as does President Obama. The Hillary Clinton campaign and the Democratic National Committee are publicly accusing WikiLeaks of being a front for the Russian government and an ally in efforts to help elect Donald Trump, but U.S. intelligence officials aren’t so sure. Then, on Tuesday, the interim chair of the DNC tied WikiLeaks to an ongoing campaign to meddle with the U.S. elections. “Our Intelligence Community has made it clear that the Russian government is responsible for the cyberattacks aimed at interfering with our election, and that WikiLeaks is part of that effort,” Donna Brazile said in a statement. But four U.S. military and intelligence officials told The Daily Beast that the relationship between Russia and WikiLeaks is not so clear cut. Undoubtedly, the group has benefited from the work of Russian hackers, who passed purloined emails to WikiLeaks. But does that mean that WikiLeaks is taking orders from Vladimir Putin and doing his bidding? “For Russia, WikiLeaks is more like a useful idiot because they [WikiLeaks] are too cowardly and dumb to be in on the master plan,” one U.S. official told The Daily Beast, describing the website as essentially giving cover to Russian hackers. U.S. President Barack Obama arrives aboard the Marine One helicopter to depart O'Hare International Airport in Chicago, Illinois, U.S. October 9, 2016. This official said one danger of such action is that Russian and Syrian forces are often co-mingled, raising the possibility of a direct confrontation with Russia that Obama has been at pains to avoid. U.S. officials said they consider it unlikely that Obama will order U.S. air strikes on Syrian government targets, and they stressed that he may not make any decisions at the planned meeting of his National Security Council. One alternative, U.S. officials said, is allowing allies to provide U.S.-vetted rebels with more sophisticated weapons, although not shoulder-fired anti-aircraft missiles, which Washington fears could be used against Western airliners. Squadrons of fact-checking journalists have been deployed by news organizations over the past several months trying to provide some perspective on claims about key campaign issues, including the 2015 nuclear deal between six world powers and Iran that the Barack Obama administration and former Sec. of State Hillary Clinton have claimed credit for and that the Trump-Pence campaign has criticized. Senator Tim Kaine (D-Va.) and Gov. Mike Pence (R-Ind. )Their effort to clarify the facts about these and other issues is vital to ensuring we have a more informed electorate. But sometimes the fact-checkers themselves – perhaps in their rush to provide information in near-real time on the candidates’ statements – garble complex technical issues or leave out key facts. 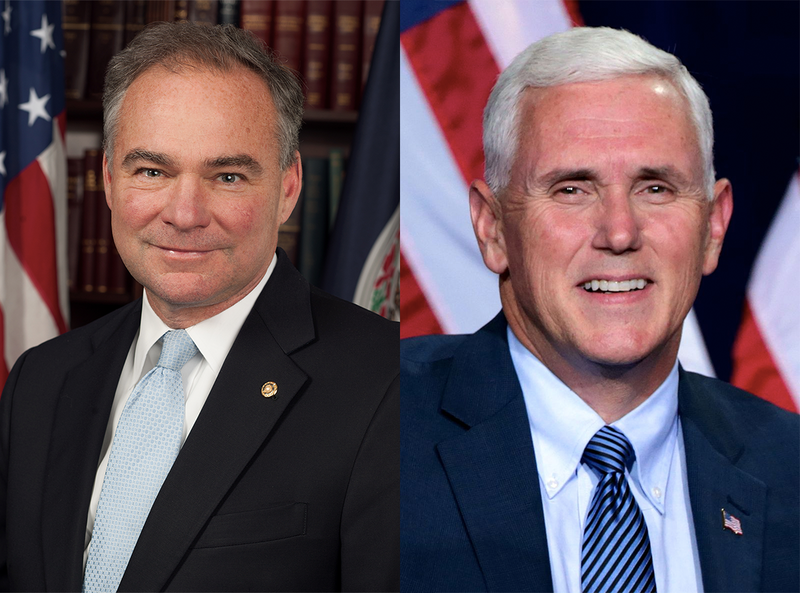 Kaine: "She [Clinton] worked a tough negotiation with nations around the world to eliminate the Iranian nuclear weapons program without firing a shot." ABC News graded Kaine’s statement “False” which is just not fair or accurate. The Syrian president said the city must be 'cleaned' so it can be used as a 'springboard' for winning the war against rebels. Syria’s president, Bashar al-Assad, on Thursday said that victory in Aleppo will help the government free other areas of the country from “terrorists”. He said his government intends to “clean” the besieged city, and use it as a “springboard” for winning the war against rebels in the region, The Guardian reported. Syria’s offensive against the rebels have been criticised by several nations, including Britain. The country’s campaign is backed by Russia. Assad said that though Aleppo was no longer the industrial capital of the country, taking it back from the rebels would be a political and strategic victory for his regime. Speaking to Russian tabloid Komsomolskaya Pravda, Assad said, “You have to keep cleaning this area and to push the terrorists to Turkey to go back to where they come from, or to kill them. There’s no other option. But Aleppo is going to be a very important springboard to do this move.” Assad said Saudi Arabia has offered their support on the condition that Syria severs its ties with Iran. More than 150 people were killed in Syrian military attacks, backed by Russian warplanes, in Aleppo this week, rescue workers said. At least 99 civilians died on Wednesday and Thursday alone, reported Al Jazeera. Syria and Russia have been accused of war crimes in the region. European Union foreign ministers also drafted a statement to the effect. Assad said the country’s civil war has become a point of conflict between Russia and the West. The civil war in the country has killed more than 3,00,000 people in the past six years. The people of Thailand are mourning today. The king they have revered and loved for seventy years has passed away. Bhumibol Adulyadej was not just any king. To Thais, he was leader, father, mentor, moral authority and role model. As current Thai prime minister Prayuth Chan-ocha said when declaring a one-year government mourning period, the news of his passing is truly “devastating” for the people of Thailand. The father of Thailand’s economic development, King Bhumibol stood as a shelter in the storm through Thailand’s sometimes turbulent modern history. But he also stood as a staunch American ally when we needed Thailand most. He led his country into a treaty alliance with the United States and committed his people to battle side-by-side with the United States in Korea and Vietnam. Post-9/11, Thailand served as a valuable partner in the struggle against terrorism. It participated in the U.S.-led war effort in Iraq and contributed to reconstruction efforts in both Iraq and Afghanistan. Perhaps more importantly, Thailand made its military facilities available for U.S. transiting to both arenas. In recent years, the king’s deteriorating health put stress on Thai politics, which, in turn, resulted in strains in U.S.-Thai relations. Since the most recent coup in 2014, the Thai military-led government has chafed under American criticism of its hedged and hesitant—and still unfulfilled—return to democracy. 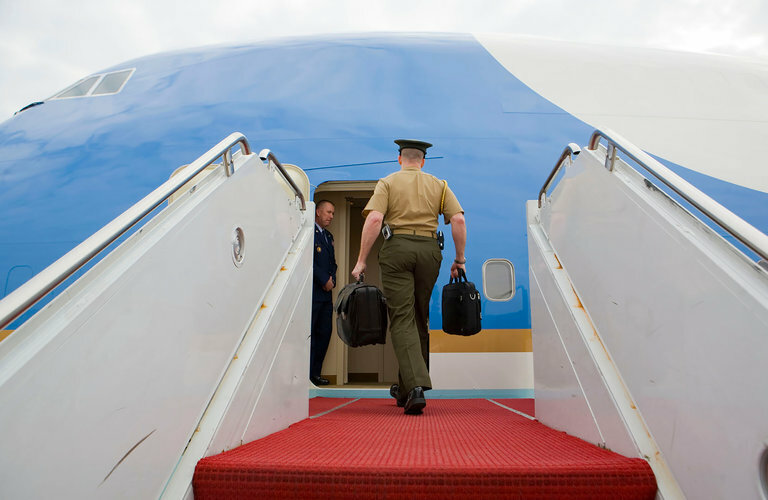 At the initiative of the United States, the military-to-military relationship has been curtailed—another thing that has not gone over well in Bangkok. In the wake of North Korea’s fifth nuclear test, the second one in the course of nine months, South Korea has changed its diplomatic and military agenda towards the North, switching from a defense to an offensive posture. President Park Geun-hye declared that the South Korean military should be ready to bring an end to the Pyongyang regime once it fires a nuclear missile. To further emphasize Seoul’s seriousness in countering North Korea’s provocations, Defense Minister Han Min-koo announced South Korea’s newest military strategy to punish North Korea: the “Korea Massive Punishment and Retaliation” plan, which includes decapitation operations and preemptive strikes against Pyongyang’s government headquarters. Taking into consideration the collapse of the Park administration’s “Trustpolitik” and other subsequent failures in preventing North Korea from testing its nuclear weapons, these extreme measures can be regarded as signs of paranoia in Seoul’s policymaking circle. They believe that stepping up the diplomatic rhetoric against Pyongyang may prompt Kim Jong-un to reconsider the pace of his nuclear program, as well as save face for the president’s Saenuri Party after its defeat in the legislative election in April. However, escalating the tension on the Korean Peninsula is not a wise choice to make at this moment if Seoul seriously wants to put more pressure on Pyongyang. From 2013 to 2015, South Korea embraced a friendly diplomatic approach towards China with the assumption that Beijing could enforce UN sanctions and persuade Pyongyang to abandon or at least freeze its nuclear program. Unfortunately, North Korea’s nuclear test in January shattered the Seoul-Beijing honeymoon, and pushed both sides to extremes. South Korea made a controversial decision to deploy the Terminal High Altitude Area Defense system (THAAD), despite China’s objections and even threats of severing diplomatic relations. The September nuclear test confirmed South Korea’s belief that China was not useful in coping with the hermit kingdom’s nuclear ambitions, which further complicates Seoul’s North Korea strategy. Is Rodrigo Duterte a Fool, a Genius—or Both?